Our friendly, versatile choir consists of men and women, and welcomes boys and girls of around 10+. We rehearse on Friday evenings from 7.30pm to about 8.30pm, and take part in worship at 10am on Sundays and other services and events as needed. 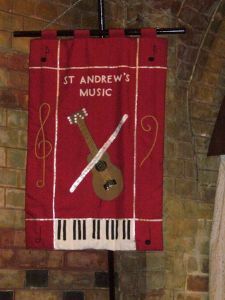 We form a supportive community at the heart of our church, and are committed to enhancing worship at St. Andrew’s and the life of the church generally. We sing everything from hymns to anthems and songs and settings for the Holy Communion. telephone the Parish Office on Taunton 332531. This unique group of musicians of all ages greatly enhances the worship of the church at a number of services during the year. We rehearse as and when required and our instruments range from piano to saxophone, via violin and guitar. So whatever instrument you play it is guaranteed to complement our group, and you will be made very welcome. 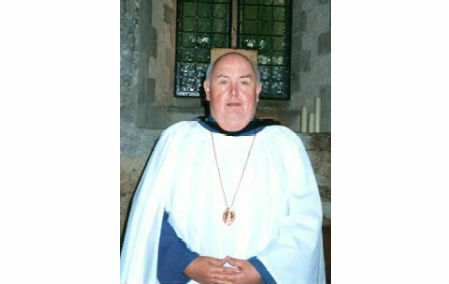 For more information please e-mail our Director of Music Alan Cook or telephone the Parish Office on Taunton 332531.